Gabrielle = Coco. Coco = Chanel. Chanel = Gabrielle. No matter how you swop those 3 words around, they all stand for the same thing at the end of the day, that of the determined OG who founded her very own fashion house against all odds. And with Chanel’s #PreCollection 2017, it is their famous namesake they are celebrating, with a selection of RTW, bags, SLGs and accessories all boldly emblazoned with Gabrielle = Coco. 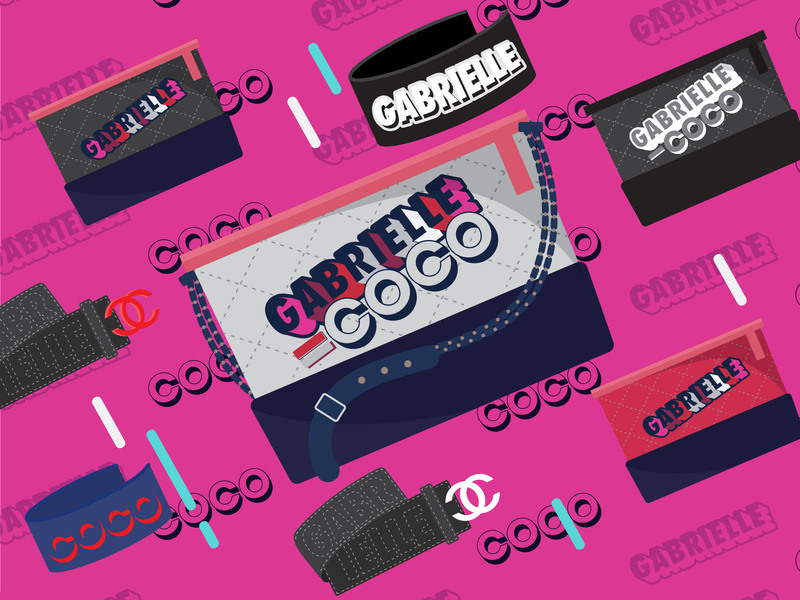 And with typography being all the rage in fashion today, fans of bold graphic fonts will love pieces that come with either Gabrielle = Coco or just simply, Gabrielle. From the Gabrielle Hobo which comes in two sizes, Small (20 cm by 15 cm) and Medium (28 cm by 21 cm) on a felt or tweed-finished body with a stiff calfskin leather base, the bags are priced at SGD4790 and SGD5460 respectively. Then there are the handy zip pouches, which are really much cuter IRL. Bearing the same dimensions as the O-Cases of yore, they are in a wide variety of colour combinations, with sizes coming in at 27.5 cm by 20 cm for the Medium (SGD1980) and 35 cm by 24 cm for the Large (SGD2110). Also, don’t miss out on the accessories and costume jewellery pieces. Two belts, in a calfskin leather body finished with a resin Chanel buckle and are priced at SGD2390 for the red buckle and SGD1750 for the white buckle. Both perfect for National Day because we’re patriotic that way, there are also a pair of resin cuffs priced at SGD1270 that come with COCO or GABRIELLE printed on the navy or black body contrasted with red and white accents respectively. Chanel’s Ephemeral Boutique showcasing the #PreCollection 2017 pieces will be on till end-September, so there’s ample time to head down to take a look. Just make a trip down to Marina Bay Sands (or to their other boutique at Ngee Ann City) and do a bit of retail therapy. Thank you so much! I was lucky to discovered your blog via Yahoo and I must say an enormous thank you very much! Love your blog so much!